We work with the private sector in genuine partnerships to help tackle the multi-dimensional problems facing our natural environment today. Human activity, by individuals and busineses alike, in the pursuit of development have impacted on the natural environment. Natural resource extraction has left a huge footprint that we all have a responsibility to reverse. The truth is unless we sustainably manage our natural resources, and unless we all work together to transform our actions, behaviors and attitudes towards the environment, we will exhaust our supply. It’s the basis of our of our corporate engagement; the need for unity of approach in sharing the responsibility for being good stewards of our limited natural resources. Organisations are made up of people. While we work to support transformational change in business practices that are mindful of environment preservation,we also reach out to individuals within these organisations, knowing that changing just the attitude of one has a ripple on effect that can spread to whole communities. Corporate organsiations are influential within the communities they operate, with the power to effect change. Its this type of influence that we seek, as we rally strengths to foster a more caring spirit for environment stewardship. We believe diversity of approach, with the Government, communities, the media and corporates is necessary. It’s good for business. 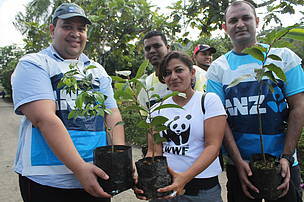 A motoring company raising funds for reforestation. 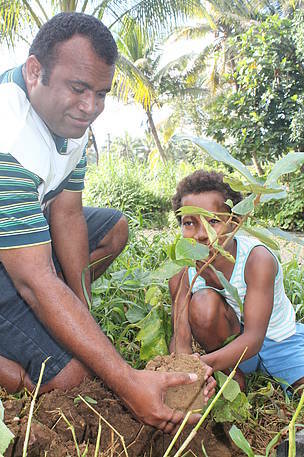 The funds is managed by WWF-Pacific that identifies sites in Fiji where planting is carried out. 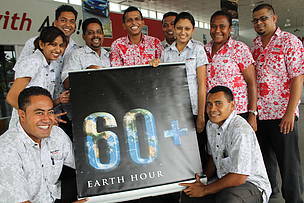 Has worked with WWF-Pacific over several years supporting initiatives like the Turtle Ball to raise funds to finance the work of turtle conservation, Earth Hour, and the Great Sea Reef sevens. We want to work with your company for the cause of environment protection, for the sake of the people of Papua New Guinea, Fiji and the Solomon Islands. ASCO Motors staff at the launch of the 'One Tyre, One Good Deed' Campaign. The campaign is targeted at raising funds for reforestation while going about the daily grind of business.